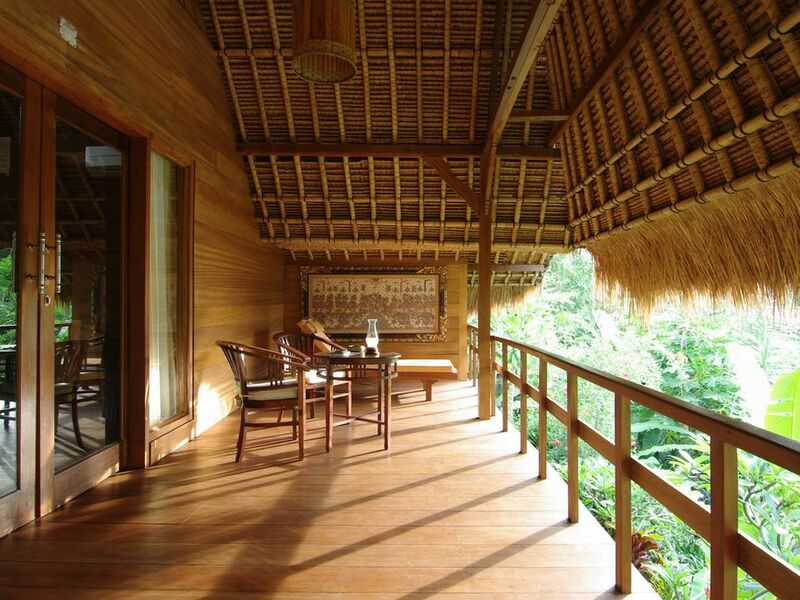 The roofs of the cottage are completely made from the Bali plants, Alang Alang. Rooms are very cool with the natural breeze making a perfectly natural environment to make your stay comfortable. The cottage is surrounded by exquisite natural scenery and rice fields. That should make you feel at home with friendly customer service and can enjoy bike cycling or walking around too. On either hand of the road, there are plenty of shops for several kilometers in which you can do your everyday shopping and make your stay ever more pleasant.The shops are fairly priced compared to the Seminyak or Kuta areas, and famous among overseas tourists for buying souvenirs and Balinese sundries. You can enjoy secure and relaxing life in Ubud. This house Ubud isa cottage located near Ubud, the islands cultural heart. Our guestscan soak up the nature of the cottage andenjoy an endless amount of entertainment inUbud. In the morning or afternoon, you can surrender yourself to the relaxing treatments and massage on the balcony, and going to Ubud center for dinner or plays with our transportation service. This House is jointly run by Balinese and Japanese so that you can enjoy your stay safely and feel the Balinese culture deeply. he family which play host is the head family of the village, Mr.Ketut's.Most of them are female staff and regardless of you are alone, couples, or with friends,they keep your privacy and you can enjoy safe and relaxing stay. It is a 55 cottage which consists of a bedroom, bathroom and balcony. We also offer you Hollywood twin beds, which are 120cm wide.The cottage can accommodate up to 3 or 4 persons. We are pleased to offer guests a variety of ActivitiesPlease contact us for further information. Bali island. It is From Ngurah Rai Airport to the center of Ubud is about 11.5 hour by car.From center of Ubud to our propertyis less than 10 minutes by car. Airport transfers all the way to the resort. The cottage serves traditional Bali foods or special course which can be reserved through undermentioned book or when you check in.And we can also arrange delivery some kinds of foods from around restaurants,Please contact us for further information.